A decades-long leader in providing special education programs and related services to students with disabilities, Questar III provides a comprehensive array of services for students in Rensselaer, Columbia and Greene county schools. Students are placed in programs according to their individual academic capabilities and social/behavioral needs. Each program provides students with individualized instruction in a curriculum adapted to meet the state learning standards. Learning is enriched by interactive community-based experiences and through the support of specialists in speech, occupational and physical therapy. 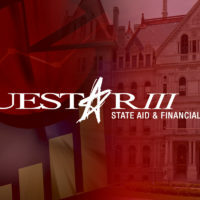 Questar III also offers extensive support services to component districts through itinerant services, consultation services, and staff development opportunities.